The girls love curly hair. 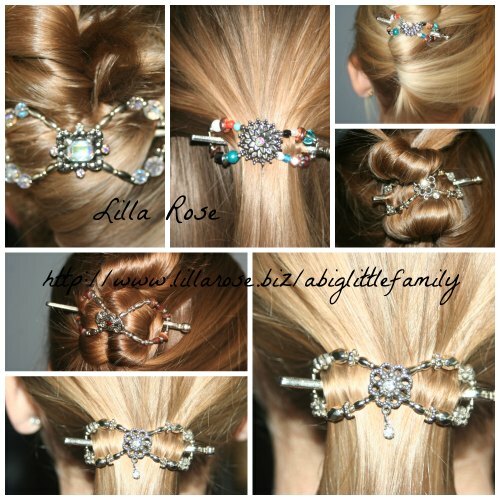 None of them were blessed with an over abundance of curls… a few got none at all. What we won’t do to change what we’ve been given. 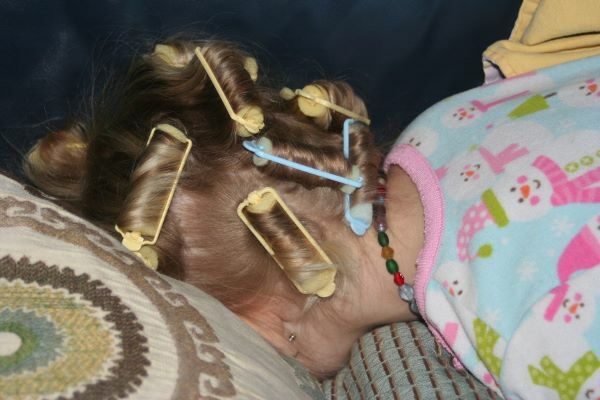 When I got up the next morning after rolling the three older girls’ hair in foam rollers, I found Ruby like this. 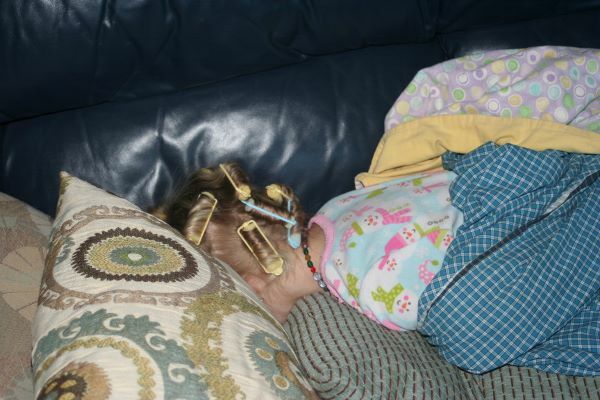 Face planted, surrounded by pillows, on the couch – because, after all, those things aren’t so comfy to sleep on. She assures me it was worth it. We need photos of the end result. I’ll bet they are cute.